©Livingstone Partners 2019. Livingstone Partners LLC. Christian began his career in the venture capital department of a large German bank. He then took over the position as Managing Director of a mid-cap tooling company. 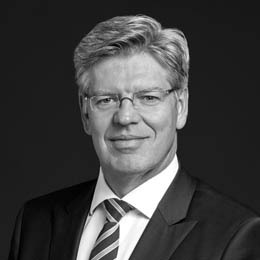 From 2000 until the end of 2008 he was Managing Partner and Director in the M&A consultancy firm InterFinanz. Christian is co-founder and shareholder of Livingstone Germany. He has expert knowledge in the Automotive, Electrical Engineering, Information Technology, Mechanical Engineering and Tooling, Food & Beverages, Textiles, Construction Materials and Sanitary Industries. Livingstone has advised vitronet Projekte GmbH, on its management buy-out backed by Deutsche Beteiligungs AG. This completes our fifth transaction for vitronet.